I’ve been in the mood to make but not sure exactly what. Maybe I could sew something small and messy? 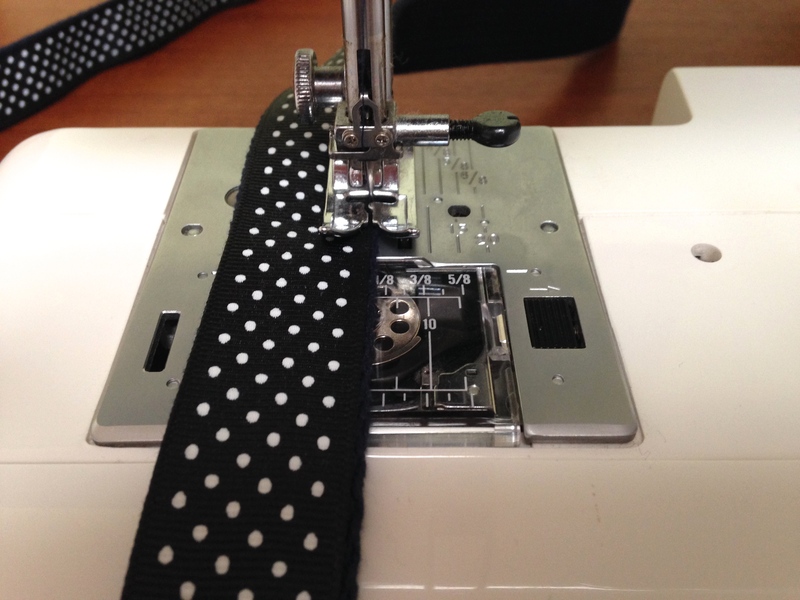 Something upcycled so to avoid spending time and money at the fabric store? I rummaged in my drawer of scraps and found . . . velvet 3.5″ square swatches from a furniture company (for an armchair we never ordered) and corduroys worn thin and frayed. I enjoyed matching the dark corduroy–it’s a brownish purple–with cheerful pink corduroy and the deep velvety squares. I trimmed and sewed as straight as I could, but the goal was small and messy after all. Now that I have a patched 14″ square, it seems I’ll have to make a pillow. Any ideas about what kind of fabric I should use for backing–velvet, corduroy, dyed linen, cotton? Fresh notebooks, long pencils with sharpened tips, uncreased shoes on polished floors–I love the possibility implied by the start of a school year. And what evokes school in its pressed, preppy essence more than the ribbon belt? I made these for myself, and was surprised when the white-and-blue belt was nabbed by my teenage son. So, make enough for everyone! Step two: Sew in place. 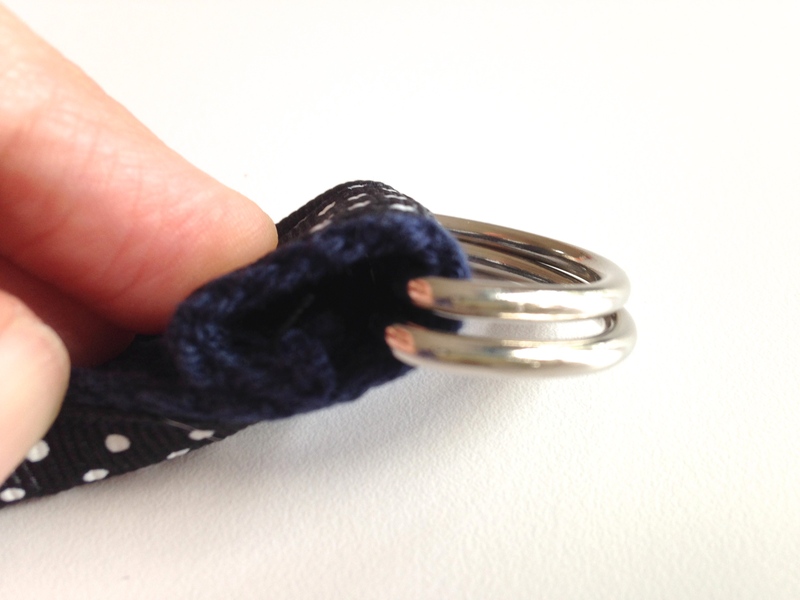 Step three: At the other end of your belt, add the D-ring and fold over once. (The webbing was too thick for me to fold over twice). 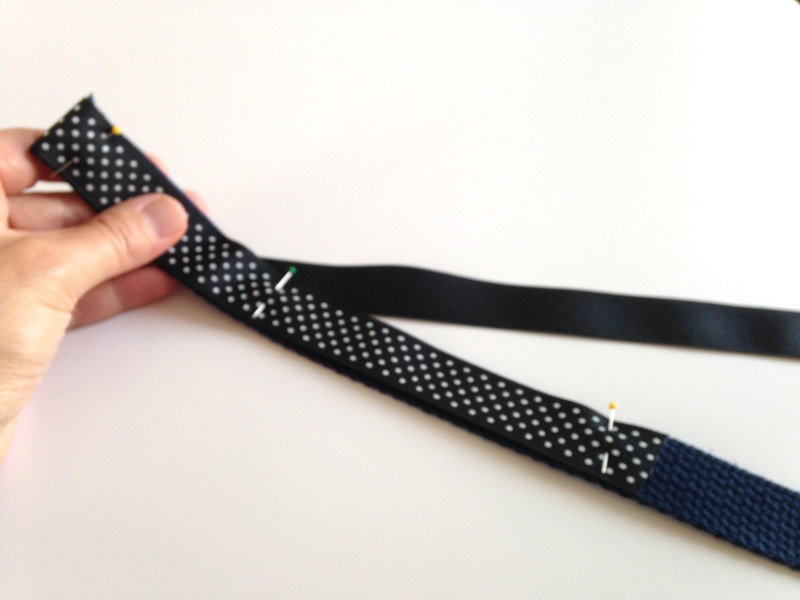 Step three: Sew the D-ring in place. And . . . wear!